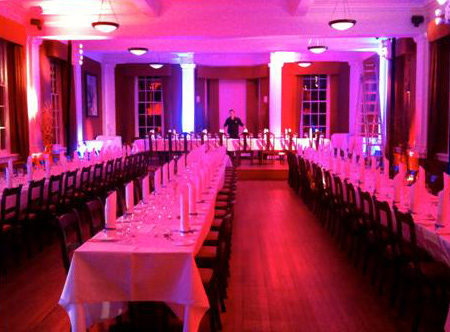 Often overlooked, lighting is one of the most important elements to creating a mood at an event. All the flowers and decor in the world won't be appreciated if the lighting isn't right. 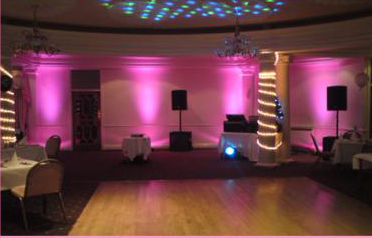 Enhance your room or reception hall with beautiful up-lighting effects. 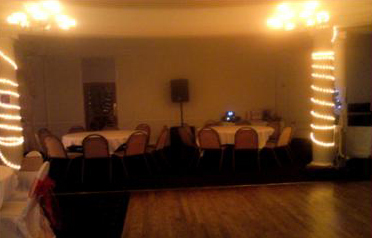 Electrify the dance floor with intelligent moving lights. Create a full dance club vibe with lasers and haze. We'll even create custom monograms projected on the dance floor. Use a combination to create a world unique to your event. With millions of colors to choose from, your dreams become reality. The importance of uplighting cannot be overstated. The right lighting can take an otherwise sterile environment and turn it into a serene dreamscape. Here are some photos of before and after. 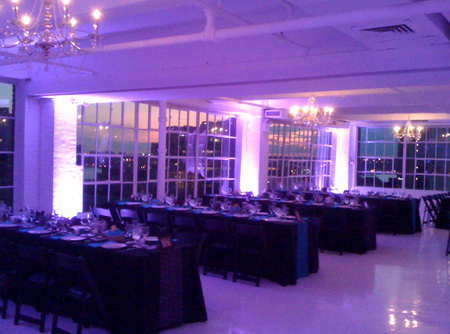 Studio 450 in NYC is one of our favorite venues. 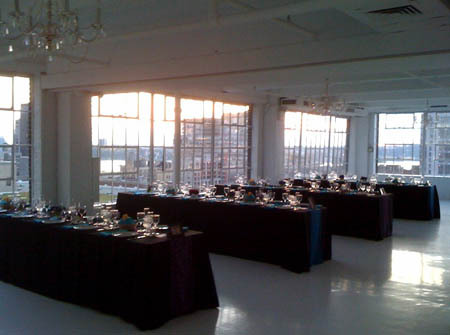 A wide-open, contemporary warehouse space overlooking the Hudson River. Although the view is nice, the interior space loses its impact after the sun sets. Here we've employed a few simple up-lights to wash the room with purple. Smaller white spotlights have illuminated the columns between the windows, creating a contrasting frame around the breathtaking view. This rustic catering hall is beautiful in person, but even with premium drapes, linens, chairs and place settings, the overall impact is dull. Here we've created a color palette to match the wedding colors and highlighted a few architectural details (columns, windows). Lighting has transformed this room into something magical and inviting. 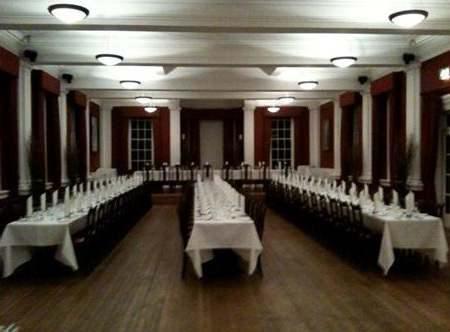 Here is an otherwise drab, small event space. Now with the addition of just a few lights, the whole space feels more intimate and romantic.